Phonse Kyne is one of Collingwood’s all-time greatest players but it is as the coach of the 1953 and ’58 premierships that he is most fondly remembered. He is one of only four players to have won the Copeland Trophy three times in a row and was runner-up on another three occasions. He played as centre-half forward in the 1935 & 36 premiership sides but is most remembered as one of the best ruckmen of his era. He was a clever palmer of the ball who used his body well to achieve front position, Lou Richards once said that all the rover had to do was to give Kyne a call and the ball would be waiting for him. It is also worth noting that his coaching career started in controversial circumstances. He was seen as the logical successor to the legendary Jock McHale but the club appointed Bervyn Woods instead. This move caused an uproar at Collingwood, with the club going to war over the issue. It seems that the appointment of Woods was political, with president Harry Curtis having long promised the senior coaching position to the long time seconds coach. A special squad of police had to be called in to control a rowdy mob of supporters at a meeting by the committee to resolve the issue at the Collingwood Town Hall. Woods, seeing the damage that his appointment had caused the famous club graciously offered his resignation. Away from the football field has was also a gentle man who was respected by everyone who knew him. Lou Richards said that Kyne was… “a loyal and lasting friend who would never have a word against any of his teammates or players.” whilst Richmond’s Jack Dyer, one of Kyne’s fiercest opponents from his playing days, paid his respect to Phonse when he said “He was Collingwood first, second, third and forever. But you could always shake his hand and have a beer with him after the game.” The only flaw may have been his tendency to deal with the disappointment of defeat by coming home from the game and then refusing dinner, going straight to bed and pulling the sheets over his head! However Phonse never lost his temper even in these difficult circumstances. Phonse’s coaching career ended as it began, in controversy due to the political turmoil within the Club. 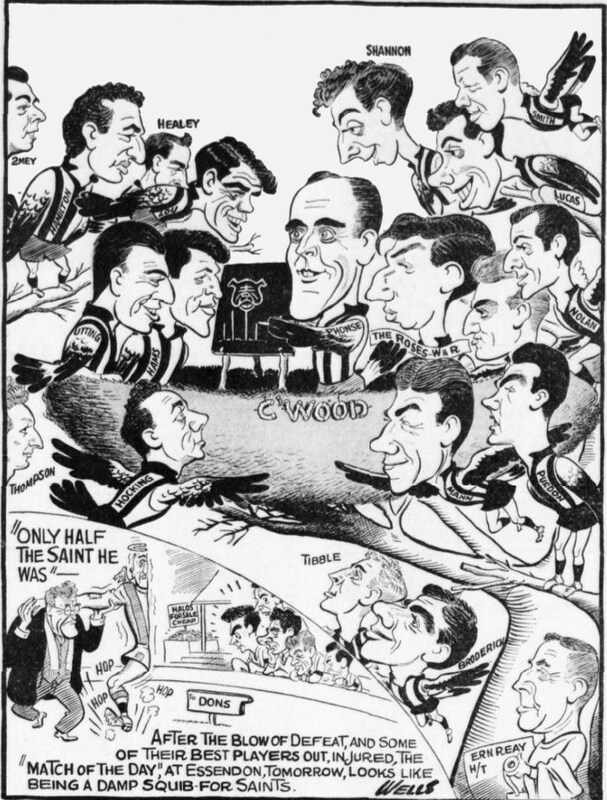 In 1963 Tom Sherrin and Jack Galbally were at war over the presidency of the Club, with Sherrin saying that if he won the vote he would endorse Bob Rose as the next Collingwood coach. Phonse claimed that he had the full-support of the entire board with the exception of Sherrin, and said that the players were supportive of him and of Galbally. This move infuriated Collingwood captain Murray Weideman who had been trying to keep the players out of the bitter political turmoil. As a result Weideman organised a team meeting to debate Phonse’s statement, and to guage the feeling amongst the rest of the playing group. The general consensus Weideman said, was that whilst Phonse Kyne may have been the current coach, the players wanted him replaced by Bob Rose. The team struggled through 1963, finishing eighth, failing to make the finals for the third successive year. 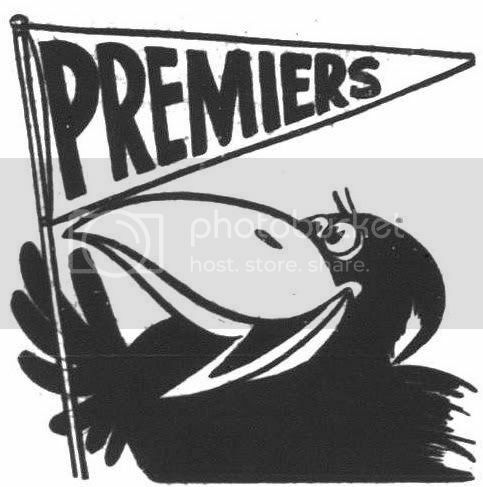 The players, who had thrown their weight behind the successful Sherrin bid for the presidency, got their wish as Phonse was sacked as coach at the end of the season and Bob Rose was appointed for 1964. It was a sad end to the coaching career of one of the most highly regarded men in Australian football and one of the great servants of the Collingwood Football Club.